Mayor Bill de Blasio and Police Commissioner Bratton host a press conference to discuss crime statistics at One Police Plaza. When KRS-1’s 1993 hit single “Sound of da Police” was released 23 years ago, everyone in my school knew the lyrics. It wasn’t just popular in the Bronx, where the hip-hop legend was from, it was a citywide anthem. KRS-1 painted a vivid reality if you were young, Black or Latino in New York. The connection to history, with lyrics explaining that police are fundamentally no different than “overseers” of slaves, wasn’t lost on us either. No Backspace is City Limits' blog featuring a recurring cast of opinion writers passionate about New York people, policies and politics. The views expressed here aren't necessarily those of City Limits. Click here to read more. Was there a difference between the NYPD led by Kelly and Dinkins versus the version led by Bratton and Giuliani? In very distinguishable ways, yes. Had the fundamental role of the police changed? In much more important ways, no. The NYPD’s turn towards aggressive enforcement of low-level “quality-of-life” offenses, coupled with the implementation of CompStat, the policing management system, reshaped American policing forever. But essentially Bratton’s main contribution was that he’d grown the power and scope of police by leaps and bounds. Cops were no longer simply responding to crime, they were expected to prevent it. Police were now a “proactive” force that didn’t bother with social causes of crime; they were there to snuff it out before it started. The role of police hadn’t changed, it had been expanded. Of course Bratton never fully disposed of the usefulness of “community policing” as a political tool. The buzzword had come into vogue in the 80’s as police departments wanted to ease police-community relations. New York’s Community Patrol Officer Unit (CPOP) program had begun under former police commissioner Ben Ward in 1984 and marked nearly 10 years of a community policing experiment in the city. 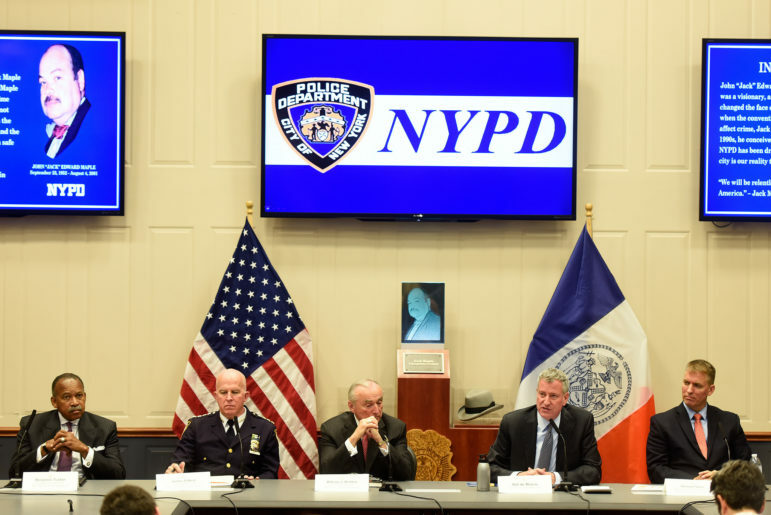 By the time Bratton arrived, many in the department thought community policing a joke. Bratton interpreted it as indecipherable from Broken Windows, which also brought cops and the community together, though primarily through arrests. There is no doubt the crush of policing fell harder during the Giuliani and Bratton years than it had during the Dinkins era and Kelly’s first stint as NYPD boss. The 1994-2001 period saw an explosion in the use of “Terry” stops (named after the famed Terry v Ohio supreme court case), encounters where police briefly detain a person on the street for questioning. That particular approach, re-branded “stop and question or frisk,” reached its zenith when Kelly returned as police commissioner years later. In between Bratton’s first departure from One Police Plaza in 1996 and Kelly’s comeback in 2002, other NYPD leaders, like the wildly unpopular Howard Safir and crooked Bernie Kerik (who ended up in jail), never strayed far from these ideas. With Bratton now announcing his resignation (again), history repeats itself—though somewhat in reverse order. The NYPD, struggling to shake off recent cases of police brutality that even include mailmen and tennis celebrities, is pointing to “neighborhood policing,” a variant of “community policing.” Bratton’s hand-picked successor, Jimmy O’Neill, an Irish guy from Brooklyn who came up as a transit cop under Bratton, has been praised in the media as a community-oriented police leader. The return to community policing this time around ignores not only that this strategy failed in the past politically, but, more important, that it wasn’t so much a policing strategy as it was public relations one. The police politics here are genius for they offer police departments: more resources. This week’s Justice Department report on the wanton abuse and discriminatory practices of the Baltimore police department (where Bratton was a highly paid consultant back in 2013) points to “adequate staffing” and “more resources” as a prescription for an agency that in a just world would have been punished. It’s a tried and true game-plan: The NYPD headcount expanded by 1,297 extra cops last year on the heels of protests over the killings of Eric Garner and Akai Gurley by cops in 2014. Amid these changes in leadership and rhetoric from the city, can there be a counter game-plan for policing activists who don’t want police enjoying more resources? KRS-1 pointed to police as the operational descendants of the enforcers of slavery in America. That was not, and is not, hyperbole. Blacks, as well as other racial and social groups, are not only the targets of individual acts of police brutality, but also the focus of the larger system that operates after arrest: prisons, courts, etc. Cops fill their role within this force much like slave-patrollers had filled theirs within slavery. For activists, this raises the question of whether the police, paralleling this historical role, should be reformed—or abolished. In 2013 the City Council took up a set bills in response to the second Kelly era’s obsession with Stop and Frisk. Collectively known as the Community Safety Act, the bills were the focus of numerous rallies and press conferences that were launched by nonprofit groups and politicians. In retrospect, however, the two bills that ultimately passed have produced little change in the police department. A bill creating an official ban on racial profiling, expanding categories of discrimination and opening up the department to claims of discrimination was vehemently opposed by the NYPD and police unions. However, two years after the law was passed, the city revealed that only two lawsuits had been filed as a result. The other bill, which created the Office of the NYPD Inspector General within the Department of Investigations, had a similar non-effect on the police. The IG’s office has been all but useless aside from a report that raised questions about Broken Windows. Two lawsuits and one somewhat useful report in almost three years. That’s it. “Aside from Bratton’s mastery of his own domain, is there anything to suggest that the proposed Right To Know laws shouldn’t be enacted? Well, sure. Where’s the “or else”? It’s not that the things the council wants the cops to do are bad, but as Jackson said to Marshall, now let him enforce it. It would be great if cops spoke the sweet words we would like to hear, but what happens if they don’t? A day before Bratton announced he’d be leaving in mid-September, a group of activists began an indefinite occupation of City Hall Park, just south of city hall. The group demanded the removal of Bratton, an end to Broken Windows, reparations to victims of police brutality and the defunding of the NYPD’s budget to be re-invested into communities of color. With Bratton leaving, the focus of the protesters, loosely affiliated along the lines of the Black Lives Matter movement, turned to divesting, defunding and (hold onto your hats) ultimately abolishing the police. While many in the mainstream brushed aside the encampment as putting forward a completely unrealistic framework of abolition, the protesters themselves have never shied away from the A-word. And neither should any of us. The targeting of police resources is an idea that’s taken hold in Los Angeles and Chicago, where protesters have similarly staged occupations to demand a divestment away from police, among other demands. It is the exact opposite approach of community policing in that emphatically asks for less policing. Done incrementally, with cuts in funding and gradual shrinking of the headcount, starving the policing beast is entirely possible if we wished it to be. Think what you might of a world without cops, the road to abolition isn’t a pie-in-the-sky demand. If politics in its purest form is deciding which programs and expenses we fund and prioritize, then defunding police is a very specific form of politics—even if it’s outside the current range of comfortable political debate. There is also time to envision what that might look like. No one expects the NYPD to be abolished tomorrow. In that vein, it’s important to understand why the reimagining of political demands is crucial for activists searching for new solutions. Mainstream pundits and commentators squawk on for lifetimes about reform, training and dead-end legislation in many cases because they can. They’re not the ones feeling the crush of police. But those impacted most by police abuse are fueled by urgency to attack big picture problems with big picture demands. By putting forward a conversation that we could begin to cut away resources from police departments, a pathway towards that A-word, abolition, the anti-policing movement in fact takes a much more serious approach. Few things would reign in police departments more than to starve them of resources and personnel. And one can calm fears that less police would mean more crime in the city. Consider that the size of the NYPD went down from a high of about 41,000 cops in 2001 to 35,000 all while serious crime also went down. Also take into account that the cities with the highest number of police officers per capita, (D.C., Baltimore, Chicago) today are up to their necks in serious crime. Cops simply aren’t the crime-fighters that we’re told they are. What protesters offer through reduced police budgets and an increase in funding of existing and new social programs is a revisioning of what crime is and what can be done about it. That’s a very clear and rational demand and one that I suspect could have considerable traction in the public if we were to have an honest debate about it. It’s also an abolitionist demand. If the police as an institution are descended historically from the enforcement apparatus of slavery, as KRS-1 reminded us, then the historic response to that problem, abolition, shouldn’t be off the menu at least as a guiding principle. It’s hard to dismiss the nonstop parade of police brutality videos, federal consent decrees and corruption scandals. Police, as an institution, has in many ways proven itself unreformable. This is of course a frightening and politically-charged strain of thinking for many, including more mainstream reformers. But perhaps that’s the point. In order to shake ourselves out of the cyclical routine of outrage-followed-by-reform, it’s time to think much more radically and fundamentally than ever before. Josmar Trujillo is a writer, activist and parent based in New York City. He has written and organized around education, disaster recovery and policing for Newsday, Truthout, the Daily News and SchoolBook. He has a column at amNY and blogs at Fairness and Accuracy in Reporting (FAIR). He lives in Spanish Harlem with his two sons. Advocates, tenant leaders and policy experts met Wednesday to discuss the impending Rental Assistance Demonstration conversions at NYCHA properties, its implications for residents, and the potential role of community development organizations in protecting long-term affordability. and the Josmar Trujillo’s conclusion about abolition. Why would he include this quote as evidence reforms are worthless because the cops will just laugh at them and only warm the hearts of liberals? Does he not think cops laugh at the thought of abolition? Is warming the hearts of “radicals” more effective or productive? But I hate the hypocrisy of this contrast. This is about the most ignorant & preposterous suggestions I’ve heard to date! What then? When SHTF and cites need the Police? Oh that’s right! We abolished them! Why, so there can be open season rioting & looting for that weeks topic of news? Gimme a damn break already & get a life people! Pingback: How “Risk Assessment” Tools Are Condemning People to Indefinite Imprisonment | We Seek the Truth! 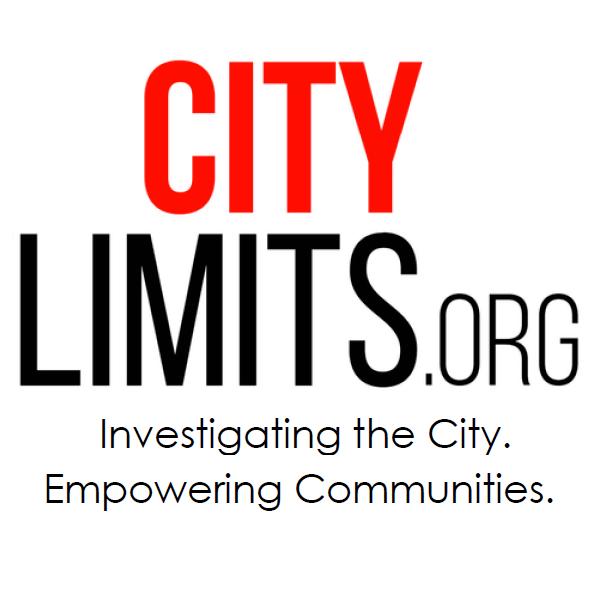 Stop and frisk in the city isn’t over. But you might not know it if you watched national headlines last week. Newcomers in Chinatown have convinced themselves that the xenophobia stoked by the Republican nominee will distinguish between documented and undocumented immigrants. They are, the author writes, tragically mistaken.